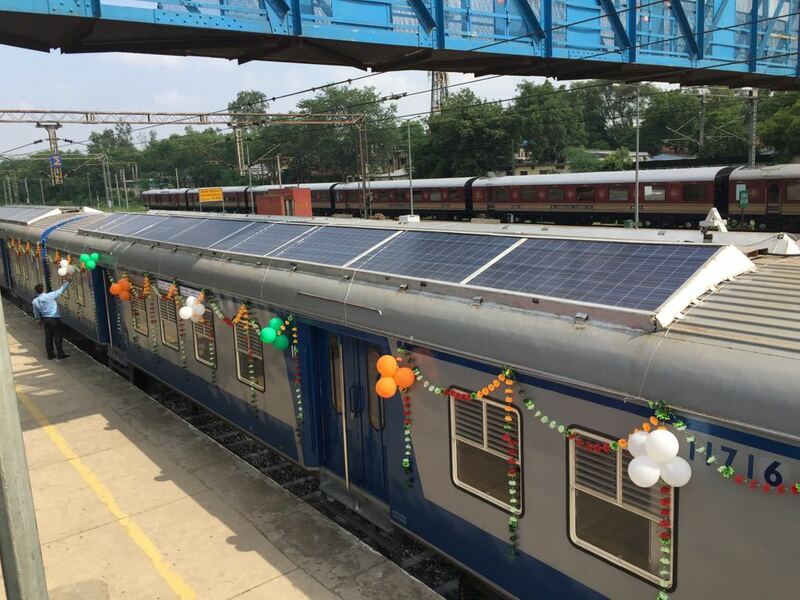 New Delhi: On Friday, Indian Railways launched its first 1600 HHP solar DEMU train. It is one of the environmental friendly measures taken by the railways which will also have financial benefits. Sitting Capacity : 89 people per coach. The train will travel from Sarai Rohilla station in Delhi to Garhi Harsaru Junction, Farukh Nagar in Haryana. The train will replace the existing non-solar powered panel on the same route and run at the speed of 110 kmph. There has been no change in the fare and the journey will take nearly one-and-half hours. There are rakes for luggage and a display board in each coach. There are 16 solar panels of 300 watt capacity each in a coach. The energy generated through the panel will be stored in batteries and can be used during night as well. The two passenger coaches which do not have solar panel will operate on diesel. The train has two parallel power sources solar power and diesel and in case of failure of the former, it will switch on to the latter. This initiative will save diesel equivalent of Rs 2 lakh per coach per annum. It will result in reduction in 9 tonnes of carbon dioxide emission per coach per annum. Around Rs 672 crore will be saved per annum. 1 Comment on "India’s First 1600 HHP Solar DEMU Train Launched by Indian Railways"
Great idea to update old units with solar power. So you can use battery power for internal lighting and some electrical components. But we’re talking about wagon with a small comfortable equipment. Is this a solution for modern units, don’t think so.